Before the Edmonton Art Galley closed for renovations and reopened as the Art Gallery of Alberta, they had one last exhibition, "Free For All" in which all local artists of Edmonton were able to come and hang their art from ceiling to floor. The sight, as you imagine, was truly one to see! 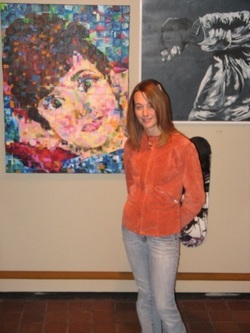 During the summer the CVAG held an opening for all artists in which they could come and display their art and interact with passerby's to encourage them to come into the gallery and become involved in the arts. I was lucky enough to snag a spot and view some other artists art as well! 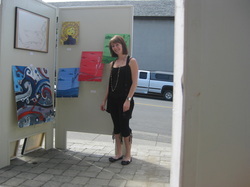 Melissa currently has some of her paintings on display at the "Different Strokes" gallery in Olds, Alberta.